Farming has flourished in Seattle since the 1970s. The city was rightly considered a paradise for gardeners. 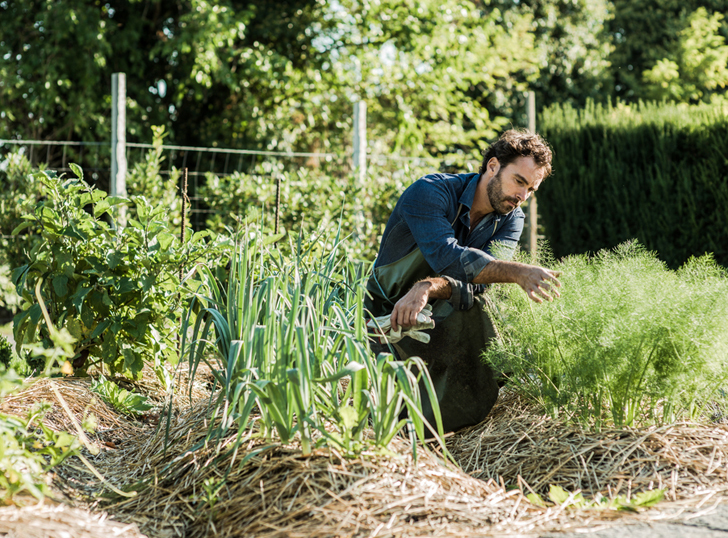 With the advent of the modern Food Forest, the city has reached new heights, transforming into the unofficial capital of the American urban economy. Food Forest is the latest technology of gardening, a peculiar system of land management, which allows you to create a forest ecosystem in closed conditions, subsequently turning the wasteland into an “edible jungle”. 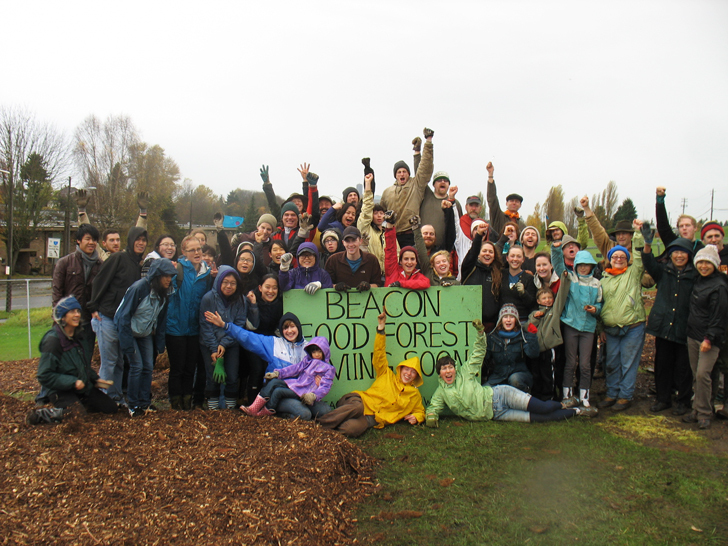 In other words, in order for healthy, well-groomed trees and plants to grow in the forest, the organizers of the Beacon Food Forest will plant them in greenhouses and tents. Then, the grown tree will be transplanted to the planned territory, followed by observation and delicate care. According to the founder Glenn Herlihy, the concept of Food Forest is borrowed from the sphere of permacultural design. A holistic approach to the development of settlements, in which gardens, houses and neighbourhoods are built on the principle of environmental friendliness. The bottom line is that resources designed to maintain Food Forest are produced in autonomous environments. Artificially created forests in fact will not differ from nature-growing. Specialists will carry out minimum traditional care – watering, fertilizing, and weeding. Of course, a few years will pass before the planted fruit and nut trees begin to bear fruit. But the organizers of the project know what to do with this time. And their main goal is the creation of a team that will be able to provide proper care for the food forest of a new format. 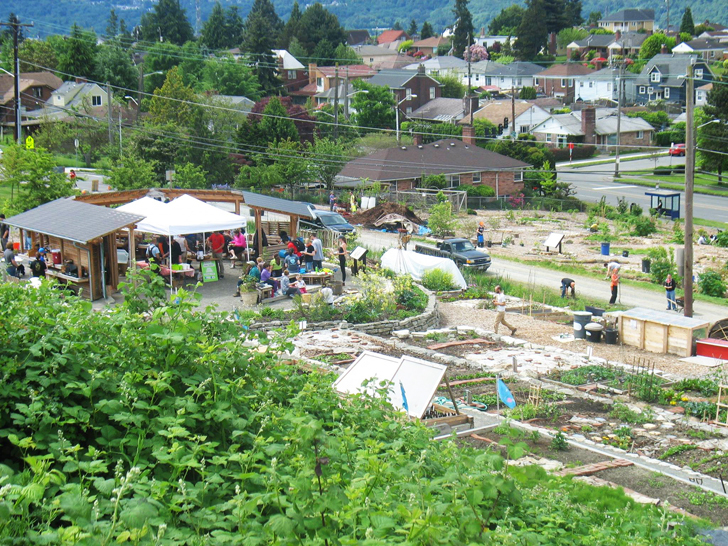 At the moment, Seattle has two hectares of land for Food Forest. In the future, another five are planned. The peculiarity and unique beauty of such forests is that they promise to survive by their longevity even their creators. And it will no longer be a wooded area, located somewhere beyond the boundaries of settlements, but rather an integral part of urban planting. 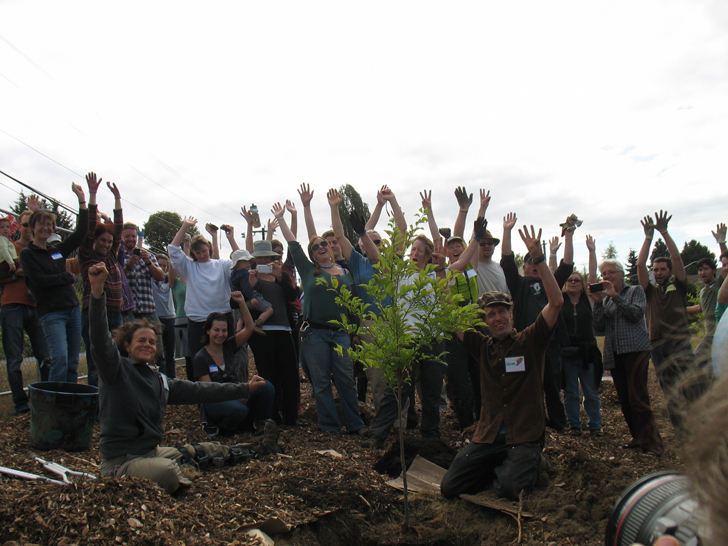 The idea of Food Forest has already been adopted in Helena (Montana), Austin (Texas), London (England) and, perhaps in the near future, other cities and countries from all over the globe will join this list. Posted in Ecology and tagged farming. Bookmark the permalink.